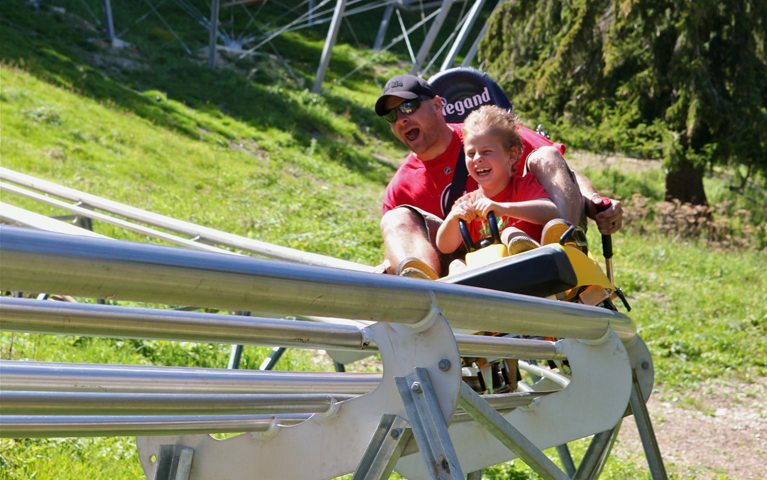 Get into the bobsleigh, listen carefully to the instructions… and let a cable pull you up to the top of the run. Then hang on ! 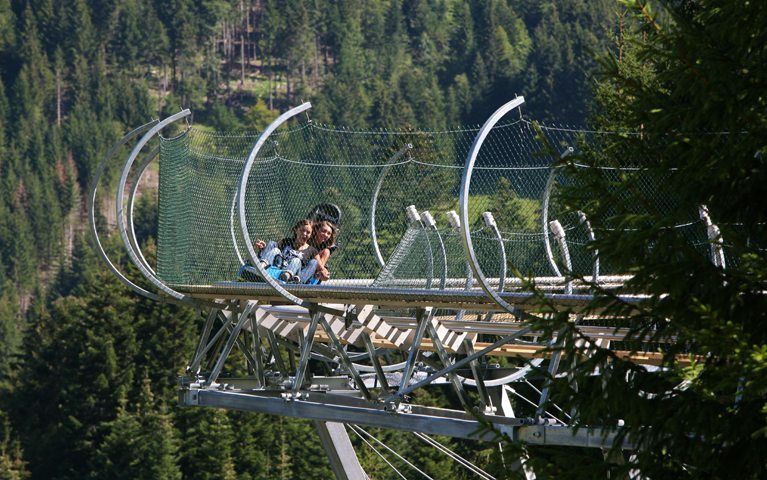 The bobsleigh detaches automatically and the descent begins ! 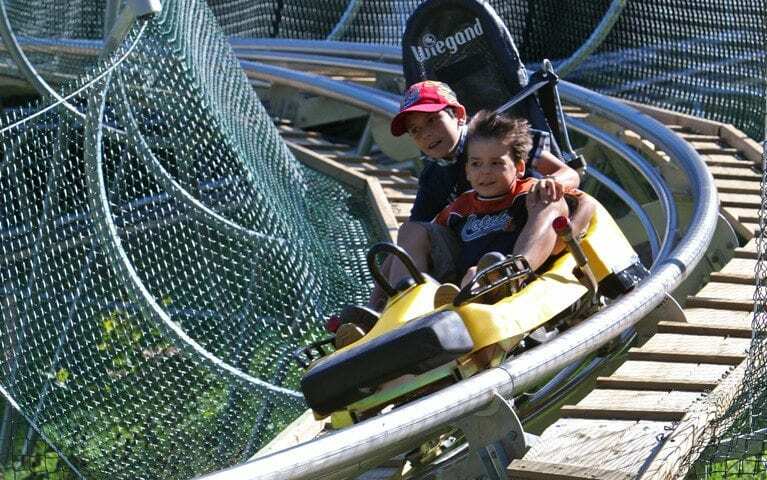 Children from 3 to 7 years old must be accompanied by an adult. Operation is weather dependent. From mid-May until End-October opening every day, from 11 am till 6 pm. Children 3 to 7 years old free with proof of age. With one « leisure park” token (for sale at the main bob-luge ticket office or at the minigolf snack bar) you can choose one of the 3 following activities : bobsleigh, downhill cart or minigolf.